EyeQue Personal Vision Tracker | OhGizmo! By Petra-Andreea Gheroghiu on 12/05/16 • Leave a comment! The EyeQue Personal Vision Tracker is a super convenient way to check your vision and keep track of it over time. 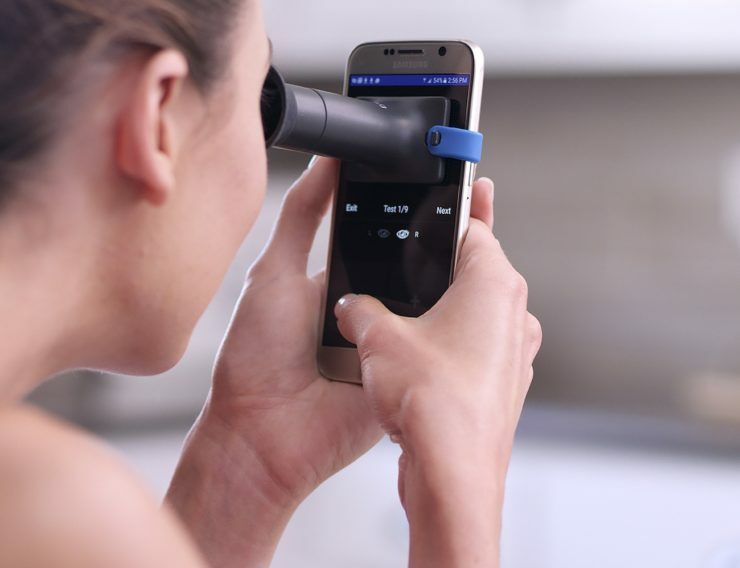 The EyeQue team has developed a small optical device and smartphone app (based on an MIT patent) that makes vision assessment possible anywhere, anytime. After a few rounds of measurements, you will receive a set of “EyeGlass Numbers” which can be used to purchase glasses online.